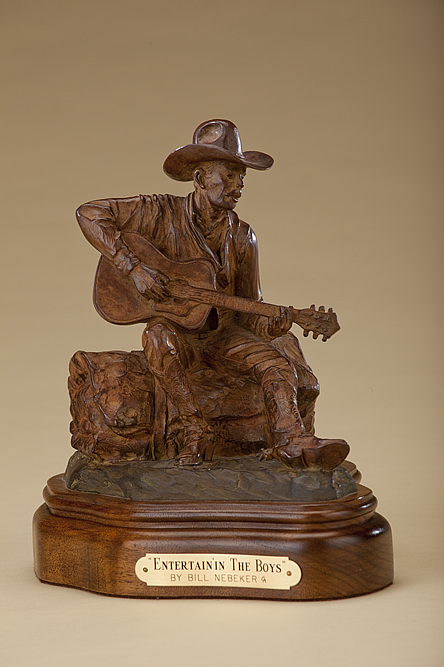 We Cowboy Artists work all year long to bring to life our concepts of the Cowboys and Indians of the historical past and the lives of the contemporary rancher, Native American or other figures form our Western Americana culture. 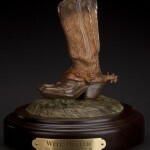 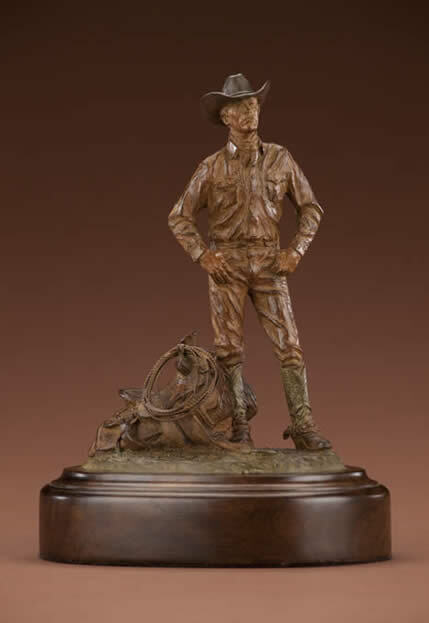 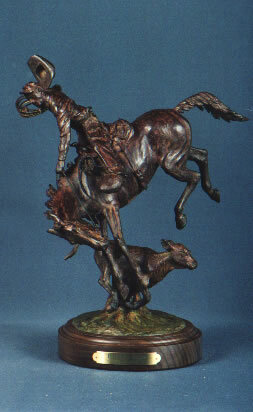 In this miniature bronze I am combining the historical past and the modern life of an artist who is a cowboy. 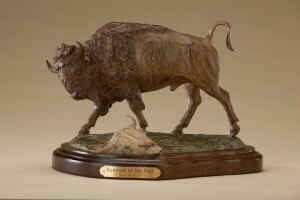 This young artist is in the creative process of sculpting a warrior from a tribe in the Central Plains of America. 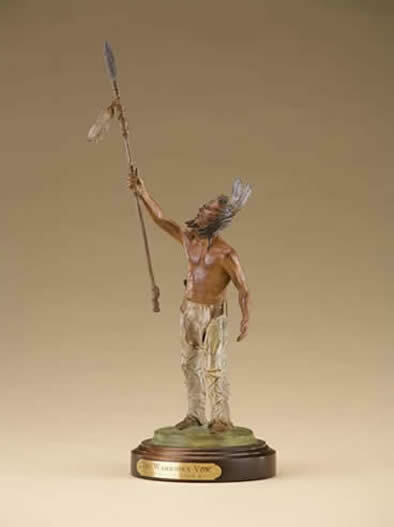 The Indian is wearing a bear claw necklace and a buffalo robe while praying for strength and swiftness that will come from calling down the thunder.